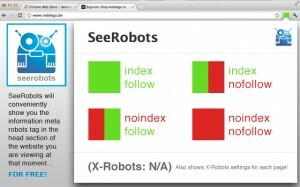 …and SeeRobots will also show you the X-Robots settings for this page. Your data on all websites: This is required since SeeRobots will analyze the html source code. 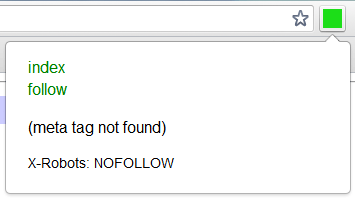 Your tabs and browsing activity: SeeRobots needs this permission to get access to every tab and html. For more information about SeeRobots on Chrome click here.